On behalf of admin of JML Law, A Professional Law Corporation posted in Product Liability on Saturday, Nov 18 2017. A Riverside woman injured after her e-cigarette battery exploded in the car was awarded nearly $1.9 million in a product liability lawsuit against a major electronic cigarette’s distributor, its wholesaler and the store where she bought the electronic cigarette. A Riverside County Superior Court jury awarded Jennifer Ries, 31, with nearly $1.9 million after the woman suffered second-degree burns and was left with physical and emotional scars following the 2013 incident. Fact #1: there are over 2.5 million users of electronic cigarettes in the U.S. Fact #2: there have been more than 25 e-cigarette fires documented in the media since 2009, but the real number of electronic cigarette fires and explosions is estimated to be much more intimidating. 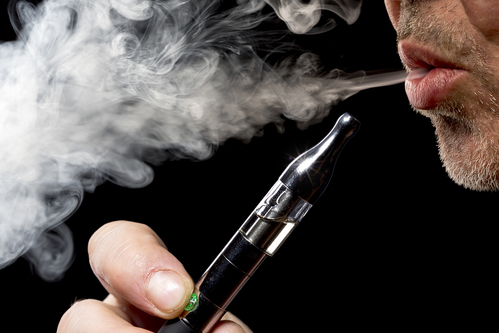 Winning an e-cigarette product liability lawsuit: Is it real? Despite the vast popularity of electronic cigarettes in Riverside and all across our nation and billions of dollars flooding the e-cigarette industry each year, the sale and distribution of the USB-charged electronic devices remain largely unregulated. However, the incident involving severe burns in Ries’s case shows that millions of dollars can be obtained in settlements and verdicts in product liability claims associated with e-cigarette fires in Riverside. Interestingly, the Riverside case’s product liability attorneys believe that it was the first e-cigarette explosion lawsuit to be tried in the country. JML Law’s Riverside product liability attorney explains that in any product liability lawsuit, multiple parties may be held liable for the injuries, damages and losses associated with a product’s malfunction or defect. In Ries’s case, the lawsuit was filed against the e-cigarette distributor VapCigs, its wholesaler, Cartons 2 Go, and the Corona store where Ries bought the USD-charged device, Tobacco Expo. Why do e-cigarette batteries catch fire? Ries and her husband were on their way to the airport when the woman decided to plug her electronic cigarette into the car’s charged. Unexpectedly, liquid started dripping from the battery before there was a loud bang and e-cigarette battery explosion. Flames caught Ries’s dress and the car’s seat on fire, leaving the 31-year-old woman with second-degree burns on her legs, buttocks and hand in addition to emotional trauma. In the lawsuit, Ries alleged that the above-mentioned liable parties mentioned that the e-cigarette could be charged with a car charger and failed to warn that doing so could be dangerous. After Ries’s case went viral, VapCigs began warning users not to charge the e-cigarette battery in the car, according to the lawsuit reviewed by JML Law. A product liability attorney here at JML Law explained that battery explosions are caused by the lithium-ion batteries that power many e-cigarettes. In Ries’s case, there was a lithium-ion battery, according to the lawsuit. Our Riverside product liability attorney also noted that 20 of the e-cigarette explosions in the past few years were caused when the device’s battery was being charged. Lithium-ion batteries have caused explosions and fires in many other electronics, including hoverboards. In fact, hoverboards have been banned from most airlines in the world after a series of reports of the devices catching fire and exploding. Fact: even iPhones charged with third party chargers (not certified and not manufactured by Apple) can catch fire and explode. What to do when your e-cigarette catches fire and explodes? Despite the e-cigarette industry having lack of safeguards for consumer protection, you can still take legal action against distributors, wholesalers and stores selling defected and otherwise dangerous electronic devices. If your electronic cigarette caught fire or exploded – or you smelled smoke – first of all, make sure you’re safe by unplugging the device from the battery; second of all, seek immediate medical help to have your injuries treated and documented; and, third of all, seek the legal advice of a Riverside product liability attorney. E-cigarette product liability claims may be difficult to litigate and obtain sufficient evidence of distributor, wholesaler and store liability, but our skilled product liability attorneys here at JML Law work day and night to fight for consumer protection and your rights. Contact our Riverside offices by calling at 818-610-8800 or send an email for a free case evaluation.